when after hearing about the work of Stand by Me, she came up with the idea of holding a talent contest to help the children of Ethiopia. Our school representative, Tim, visited Caitlin’s school and shared the stories of our children in Bekoiji, who have come from desperately poor families. Saddened to hear that some children do not eat from when they leave on Friday until they return to school on Monday, Caitlin was inspired and immediately set about thinking what she could do. 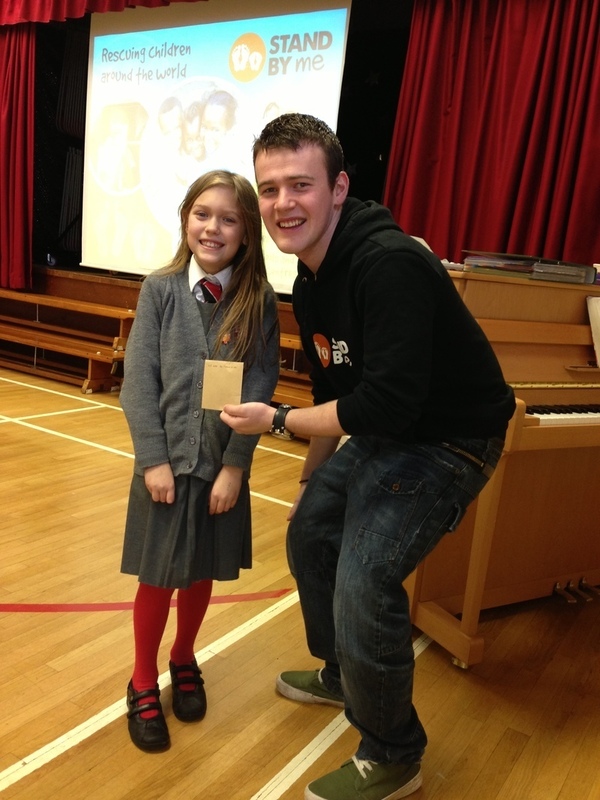 As she set off to visit family in Dublin, Caitlin came up with her own talent contest idea. She showed great confidence as she designed her own publicity fliers and distributed them around her local youth club, letting people know how they could get involved. Caitlin ran the event on the night, charging a one Euro entry fee to everybody that came, and as a result of her magnificent efforts, she raised 45 Euros for the children in Ethiopia! We are very grateful to Caitlin for taking the initiative to raise money on our behalf. Thank you Caitlin for making a difference to little children’s lives!